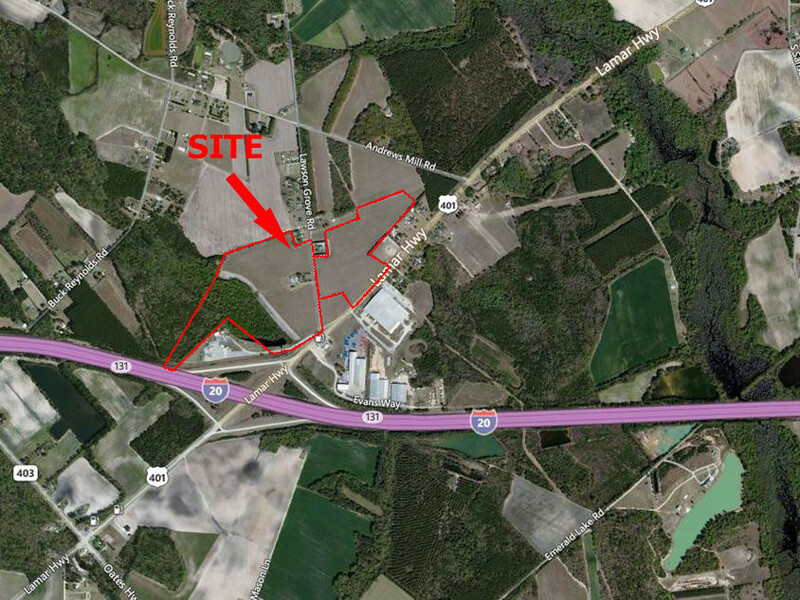 This +/- 72 acre site is situated at the interchange of I-20 and SC Hwy. 401 (Lamar Hwy.) between Darlington and Lamar, SC. The property is approximately 4 miles from the City of Darlington, 15 minutes from Hartsville, 45 minutes from Columbia, and 15 minutes from the intersection of I-20 and I-95 in Florence, the Pee Dee Area’s shopping, business and medical hub. The site has excellent visibility and can be easily accessed from via Interstate 20 and SC Hwy. 401.